SDA WA member Lois Gaylord invites SDA members and their guests to join her at Kadima’s Fourth Annual Holiday Art and Gift Sale. Lois would love to share and discuss her new work with other surface designers. She will be showing her new shibori style linen scarves and cell phone bags along with her fiber jewelry and judaic textiles. Also showing at this event are Elaine LaMarche (paper cut art), Jordana René (ceramics), Michal Waldfogel (music and art) Elisabeth Silver and Wendy Graff (jewelry). SDA WA member Gwen Lowery invites SDA members and their guests to view her new work at her Winter Solstice open house and fund raiser for Gail Harker Center for Creative Arts (www.gailcreativestudies.com). Gwen will be showing pieces from her new 3D series “Aurora Towers”, as well as wall pieces. Also selling work at this event are Anni Hunt, Carys Hamer, Diane Reardon, Druscilla Defalque, Lisa Harkins, Liz Cooper, Maria Patrizzi, Marjorie Bachert, Pat Ross, Penny Peters, Ruth Lane, Sandy Little, and Susan Lenarz, most of whom are SDA members. The work by these artists encompasses a range of surface design and embroidery techniques. 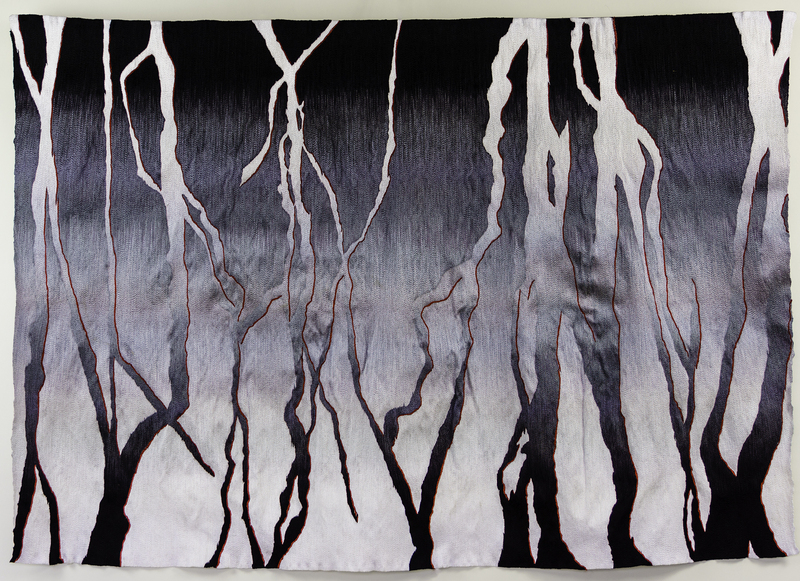 North End Arts Tour, Barbara Zander is part of the Artisans’ Gallery presenting silk constructions. Six galleries are included in the tour. http://www.neatseattle.com/. Seattle Sampling 2014 Artists’ Studio Tour, Leah Adams of SpiderFelt and Amy Hamblin of ScienceCrush have joined Seattle Sampling, Seattle’s most established and largest holiday Arts and Crafts Studio Tour. There will be an array of sculptural and dimensional fine art, wearable art and jewelry, cozy sheepskins, felt kits, and more. Join Leah and Amy Friday night for a festive preview party. Refreshments will be served. Let’s be merry together while avoiding the traffic and crowds on this popular shopping weekend. Seattle Sampling is a 3-Day, Free, Self-Guided Tour, visit the homes and studios of 34 of Seattle’s award-winning craftspeople. 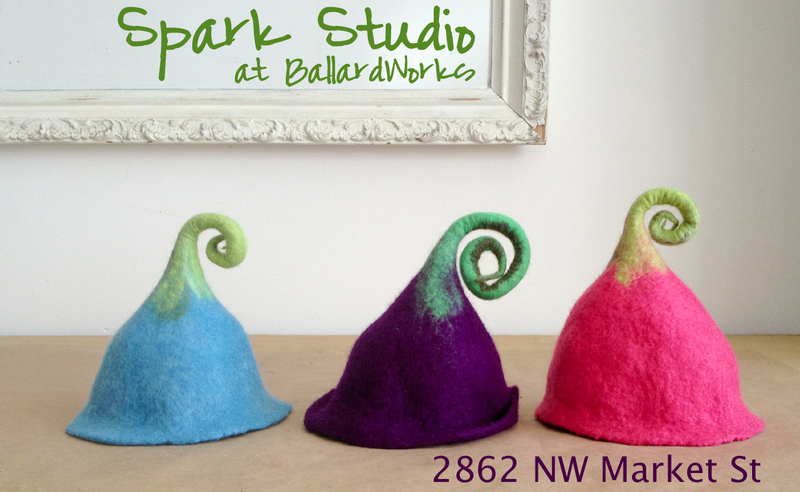 Location: Spark Studio in the BallardWorks building is the third stop on this self-guided tour of Seattle’s finest art studios. Hours–Friday | December 5 … 4 – 9pm, Saturday | December 6 …10am – 5pm, Sunday | December 7…10am – 5pm. This entry was posted in Exhibition, Uncategorized and tagged Exhibition, holiday, sales.